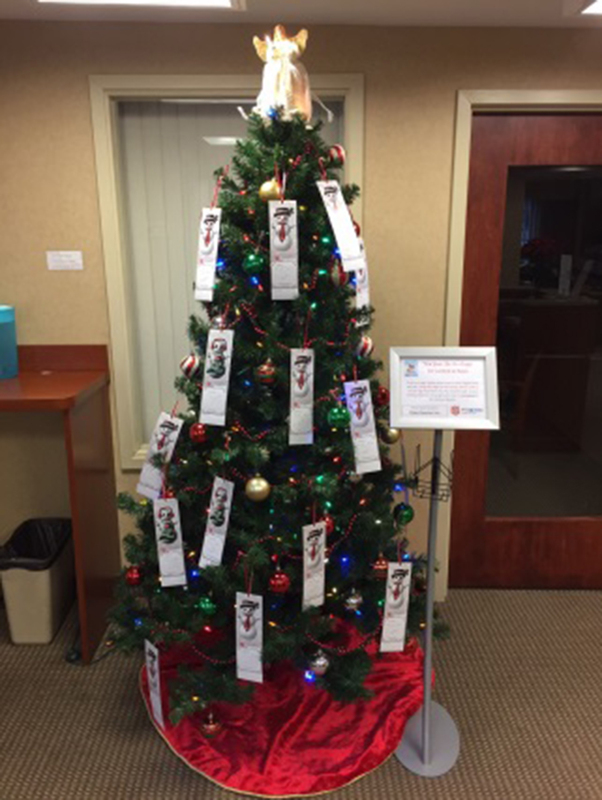 Melrose, MA This holiday season, Metro Credit Union employees partnered with The Salvation Army in support of their Angel Tree program. The Salvation Army national holiday assistance program provides new clothes and toys for roughly 1 million children who otherwise may go without gifts. Donors select anonymous children (known as “Angels”) and fulfill their wish lists, which include a toy of the child’s choosing and sizes for essential winter clothes. The benefitting children are from families who are struggling financially and cannot afford the expense of the holidays. Locally, the Angel Tree program serves about 800 children from 350 families. According to captain Isael Gonzalez, Corps Commanding Officer for Chelsea and East Boston, Metro is now one of the largest group sponsors in the area. In 2018, Metro employees fulfilled holiday wish lists for 65 children in need. Additionally, Metro’s Melrose branch engaged in the giving spirit for the 21st consecutive year, donating gifts and clothing for an additional 30 local children. At the Melrose branch, both staff and members participated. This year’s donated gifts included craft sets, Legos, dolls, scooters, games, and much more. “The holidays are a festive time at Metro, and we are so thrilled to see our employees engaging with a program that helps those in need experience the joy of the season. The continued generosity of our staff throughout the year is truly amazing. The Angel Tree program makes the holidays brighter for both the giver and receiver, and we thank The Salvation Army for their hard work to bring joy to so many in our community,” said Charlene Bauer, chief development officer, SVP outreach and advocacy.